Bob Reiss captures the expanse, the challenge, and the potential of the changing arctic, and the clear need for a bold national strategy to realize the promise of this extraordinary frontier. - Gary Roughead, Admiral, US Navy (retired), Former Chief of Naval Operations. Reiss shared his personal polar adventures and wound them into his conversations with some of the major players in the world in a presentation that held audience attention, put global warming in perspective from local to global, and prompted important post-lecture conversations and debate. … Reiss has taken climate change and made it personal. The Coming Storm is … fair, urgent and deeply unsettling. Phenomenal ability to transport his audience to the Arctic while he describes his many adventures in this remote part of the world. Reiss has met with everyone from Eskimo hunters, White House officials, oil men, politicians, scientists and even military planners in his research concerning the Arctic. He has appeared on Morning Joe, NBC Nightly News, CNN, and Dan Rather reports. 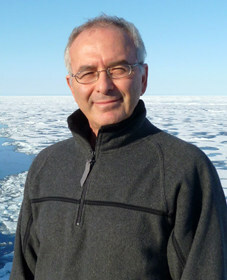 Author of The Eskimo and the Oil Man and Newsweek Cover Story July 2015.